Holy Name of Mary College School is an independent, university preparatory Catholic school for girls in grades 5-12 distinguished by academic excellence. Founded by the Felician Sisters and Basilian Fathers it is guided by a mission to educate young women to their full potential, through a values-based, positive and supportive education for the development of the whole student. The school is affiliated with St. Michael’s College School and prides itself with a learning environment that promotes student leadership with emphasis on compassion, community outreach and social responsibility. We are seeking exemplary Supply and LTO Teachers in our Senior School (Grades 9 – 12). Applicants must have excellent leadership skills, a thorough understanding of the mission, vision and values of Catholic education, as well as an appreciation of the benefits of an all-girl’s education. This is an outstanding opportunity for a caring and innovative educator to contribute to the development and advancement of girls in an engaging, creative and supportive learning landscape while equipping them with 21st century competencies ready to lead in a fast-paced globally-connected world. HNMCS is an equal opportunity employer committed to fostering an inclusive, equitable and accessible environment and welcomes applications from all candidates who meet the position requirements. Accommodations are available upon request for candidates engaging in all parts of the recruitment and selection process. HNMCS offers a competitive salary and benefits package, including participation in the Ontario Teachers’ Pension Plan. Interested candidates are invited to submit a cover letter with a personal statement of Catholic education philosophy, and a detailed resume to careers@hnmcs.ca. Only candidates selected for an interview will be contacted. 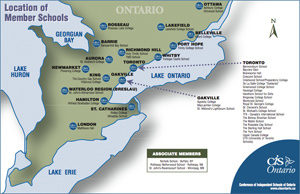 Visit us at www.hnmcs.ca for more information about the school.